Stick it to the man (figuratively only please!) 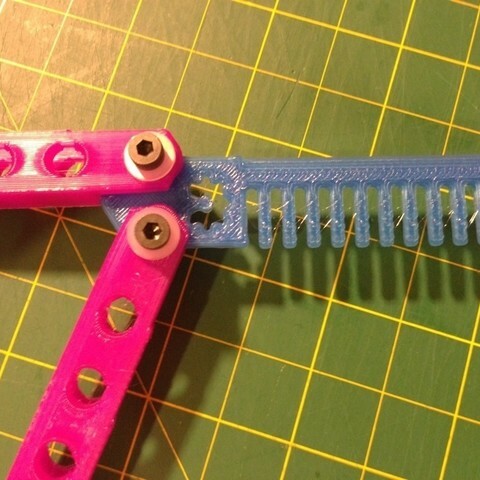 with this open source, fun and completely functional butterfly-comb! All the flash and guile of a butterfly knife, but your fingers get to stay attached to your hands! 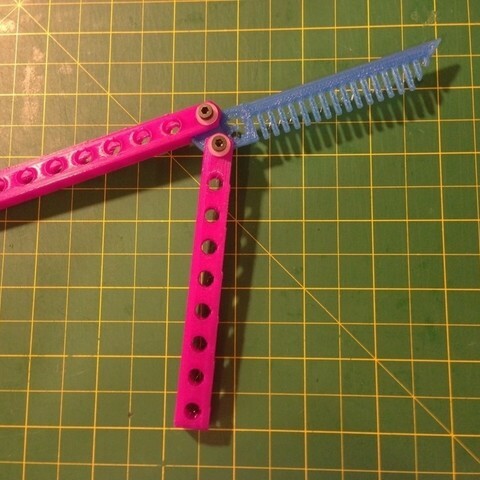 The butterfly-comb is completely harmless, fun to play with, and a you can really comb your hair with it! 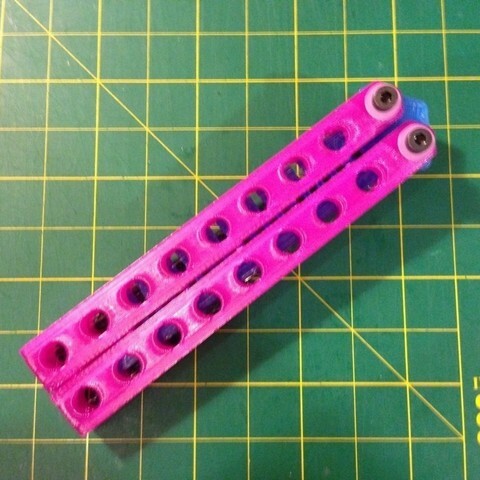 Update 12/5/2012 1828: V2 Comb Blade uploaded. It is 1mm thicker (more sturdy) and has pointed curved teeth.